December is the month of festivities and many people associate it with snowy weather. And what goes best with snow? Winter parkas, surely! 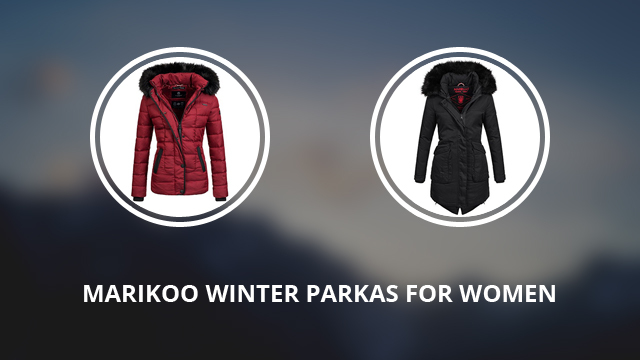 For today’s review, we have carefully selected seven of the best Marikoo parkas for women, to wear this winter season. From long ones, to hip-length, you’re sure to love some of these beautiful designs. * Note: The availability of the clothes (including colors and sizes) might change at any time. Also please check the clothes’ materials and features on the various shops before buying. We do our best to assure the accuracy of our articles, but sometimes they might contain errors. Let’s begin with Tiramisu, a gorgeous parka, with a thick and fluffy faux fur trim. The design is one of the trends of the past year, still going strong and continuing to be a favorite of many people. This parka is made of 100% Cotton and has an inner lining of 100% Polyester fleece, which is thick and soft. Fleece is renown for its ability to provide warmth, while remaining breathable. 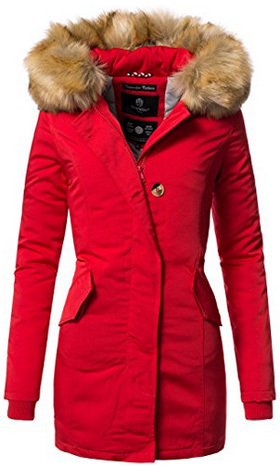 It comes with a hooded collar, where the faux fur trim is placed. The fur trim is removable, so it can be worn accordingly. 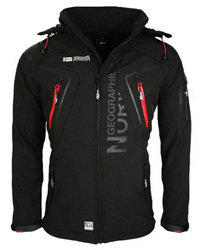 The main zipper is waterproof and covered by a snap button placket. There are two flap pockets on the sides, two on the chest and one on the inside, offering plenty of storage space. At the waist and hem, there are adjusting drawstrings, for a proper fit as well as insulation. The hem is a high-low design, while the cuffs are ribbed and elastic. What is different about this parka, is the way it is constructed. 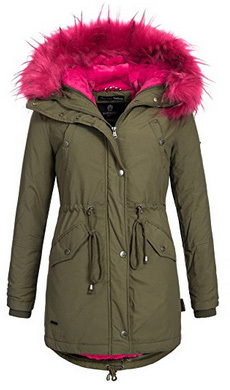 There is an outer jacket and an inner jacket, which comes in three different colors: Pink, White and Black and can be worn in combination with the three fur trims included in the design, which come in the same three colors. Tiramisu’s main jacket comes in two color options: Green and Black. Karmaa is an elegant and feminine parka, with a slim waist, designed to highlight your curves and body shape. It is made of 100% Polyester both in and out and has a faux fur trim on the hood, which is removable. The main zipper is covered by a button placket and the cuffs are made of soft, ribbed and elastic material. 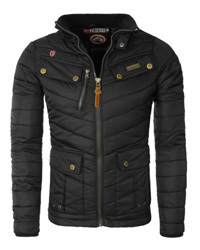 This is a long jacket, which comes with a quilted inner lining, for a better distribution of warmth and insulation. There are two side pockets, both lined to quickly warm up the hands, and an inner lining, with a duct for earphones. This is a functional parka, easy to move around in and quite lightweight. It comes in the colors: Red and Beige. A parka, which comes in all the right shades, Elle is next in our selection. The outer material is 100% Nylon, while the inner lining is 100% Polyester and quilted in a diamond pattern. It has a hooded collar, lined with fur trim made of 80% Polyacryl and 20% Polyester. There are two zipper pockets on the sides, two smaller flap pockets underneath them, two flap pockets on the chest, one on the left sleeve and one on the inside, with an earphone duct. Around the waist, there are adjusting drawstrings so you can wear it as tightly or loosely as you like. It has ribbed and elastic inner cuffs and a main zipper covered by a buttoned placket. There are four color options: Dark blue, Black, Dark green and Red. Moving on to Rose, another elegant parka, in a dovetail design and beautifully cut waist. 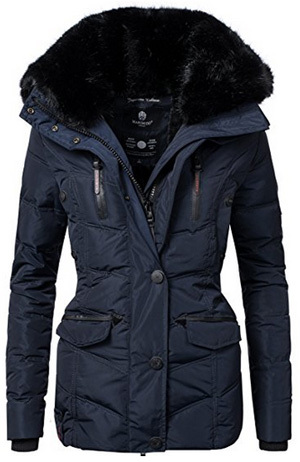 This is an above-the-knee parka, with warm cuffs and a high, stand-up collar. 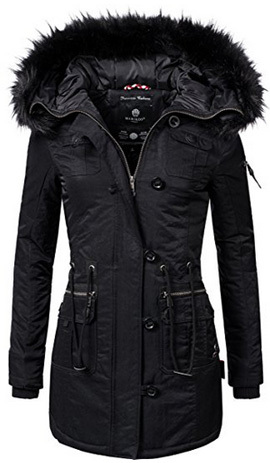 It has a hood, detachable by zippers and lined with thick, black faux fur trim. The upper material is 100% Cotton, with the inside made of 100% Polyester, in diamond-shaped quilting. There are drawstrings at the waist, hem and collar and there are two zippers, the inner one uncovered and with chin guard, the outer one covered by a snap button placket. On both sides there are flap pockets, on the chest there are two zipper pockets and on the inside there is one pocket, with cable duct for the earphones. It comes in the colors: Orange, Black, Green. This next parka is a definite beauty. It comes in a swallow-tail design for the back hem, which gives it a modern, yet classy look. It is made of 64% Nylon and 36% Cotton on the outside and lined with 100% Polyester. It comes with an attached hood, adjustable by drawstrings and lined with fake fur trim around, which is detachable and protects the face against cold drafts. There are two oversized flap pockets on the sides, lined on the inside for added warmth, and an inner pocket. The collar is in a stand-up design, high enough to protect the face up to the chin. The color selection includes: Black, Red, Green and Blue. Slightly shorter than the previous ones, Lima is a quilted parka, made of 100% Polyester and lined with soft fleece, also 100% Polyester. 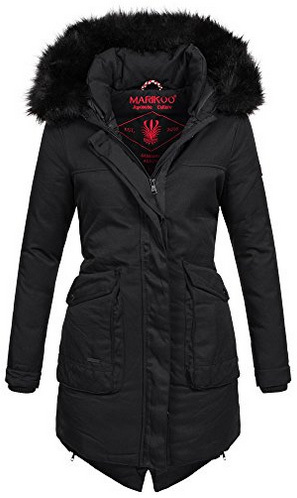 This is a functional parka, easy to move around in and extremely warm. The inner part of the collar is lined with teddy fleece and the hood is removable, as is the black artificial fur trim around it. 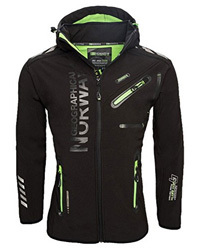 It has elastic inner cuffs, which keep the wrists warm and insulates the jacket further. The zipper is two-ways, waterproof and covered by a snap button placket. This is a slim fit jacket, with a cut waist and comes in the colors: Red, Black, Yellow, White and Blue. 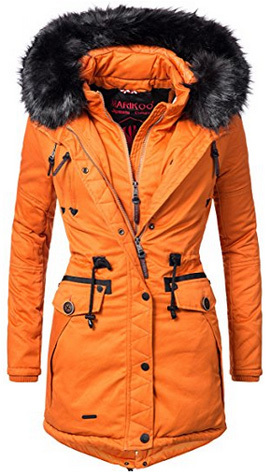 And lastly, it is Unique, the shortest of the selected parkas, perfect for those who prefer a lot of mobility and are not fans of long jackets. 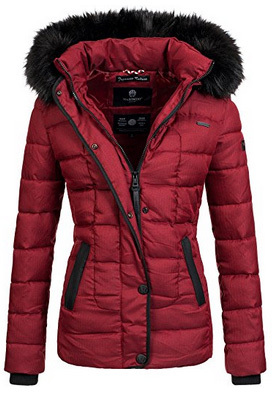 This is a quilted parka, which has two zipper pockets on the sides and one on the inside. The inner cuffs are long and made of soft, ribbed material. This jacket is made of 100% Polyester and comes with waterproof zippers, with the main one protected by a snap button placket. 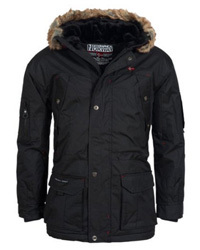 The collar is stand-up and high and there is a removable hood, lined with black, beautiful and thick artificial fur. It is a water-resistant parka, suitable for any weather and able to withstand low temperatures without too much effort. It comes in the colors: Bordeaux, Navy, Black and Grey.